Home / Football / Indonesia Has Not Won This Yet! Indonesia Has Not Won This Yet! First of all Philippines, despite 90 minutes of football being played, as the Star Sports commentators liked to say with irritating frequency, it is only half-time. There is still a second leg to be played. 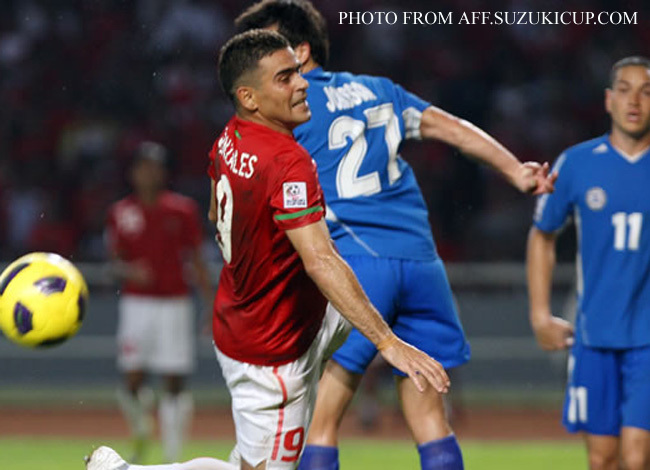 Lest your heads start to drop – and I refer to you, the fans – but for that Neil Etheridge’s howler that led to Gonzales’s goal, the Indonesians did not really create anything of note. If I belonged to the Indonesian camp, I would be a tad worried; even if the second leg is to be played at the same venue. A 1-nil win is never something to feel comfortable about, especially with a second leg still to be played. For those who are mourning the loss, I believe the last time we played the Indonesians, we scored one goal – but conceded thirteen! The score is very, very respectable. There is still a second leg to be played; and we should all be very proud of the boys! Never mind Etheridge’s flap at that marvelous diagonal cross from the left that led to the goal. The lad is only twenty; everything is forgiven – and forgotten! Carry on, lad, and just do what needs to be done. In all fairness, Etheridge had an exceptional game. I thought the Indonesians were intimidated by his size, not to mention his reputation! If I may criticize Simon McMenemey’s tactics a bit, I thought we were more expansive than we were in the group games when we had so much success. For those who are not into football, what I mean is that we were playing too far forward than we were in Hanoi, when that counter-attacking style brought us success against Singapore, Vietnam and Myanmar. I think I have an idea why McMenemy chose to bring the game to Indonesia, particularly in the first half. I did not see Indonesia’s 5-1 destruction of Malaysia; neither did I see the 6-nil win over Laos. 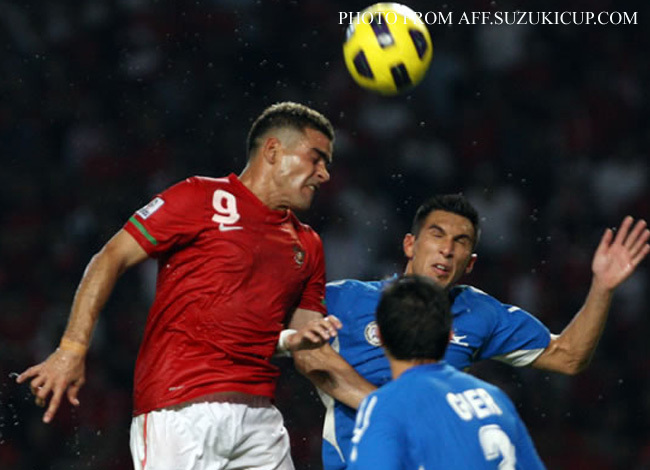 What I did see was the 2-1 win over Thailand; and in that game, Indonesia played exactly as we did in the group stages. That is, sitting back; keeping things tight at the back; and then waiting to pounce with the rapier-sharp counter-attacks. I was actually wondering – since two counter-attacking teams were squaring up with each other – which of the teams would actually take the initiative. I was not too happy that our defensive line was farther up the field than it was in the previous games; neither was I happy that we were having as much possession as they were! I can imagine what McMenemy was thinking: the Indonesians would think we would sit back and invite them to attack; so why not have a go at them instead! It could have worked; but then again, it did not! To be perfectly fair, Younghusband’s shots at goal in the first half were both on target. That Araneta was flagged for offside on the follow-up was extremely baffling. The last touch was the Indonesian ‘keeper’s! The problem with having a go at opponents is that attacking takes the wind out of players. As the Star Sports pundits correctly pointed out, our players are not full-time professionals, in comparison to those of Indonesia. Those who watched the game would have noticed how heavy-legged our players looked in the second half; and it is a tribute to the excellence of our defenders – particularly Aly Borromeo – that, despite the wide open spaces that opened up in midfield all game long, we managed to keep the score at a very respectable 1-nil. Which is why, if I was Indonesian, I would be very, very worried indeed. If this was a proper home-and-away tie with the first match played in the Philippines, the scoreline would be very comfortable to bring home to Jakarta. 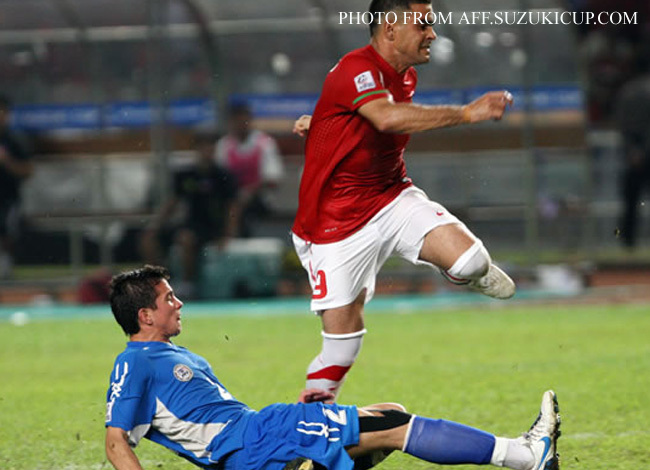 Instead, despite playing at home, the Indonesians could only manage a solitary goal, one that hit the post at that! Other than that aberration, our defense was extremely solid! For the second leg – and this is only my own humble opinion – I think we should go back to the style of play that brought us success in the group stage. As the saying goes, if it ain’t broke, then don’t fix it! I would like to see our team, therefore, sit back and invite the Indonesians to attack and – in the process – tire themselves out. Any player – and coach – will tell you that it is immeasurably less physically taxing to play a counter-attacking style than to play the expansive way. Vietnam’s short passing game, for instance, requires a certain degree of fitness from each and every one of the players; and while its Arsenal-style of passing is very pleasing to watch on television, look where it has brought the team! We are best when we are sitting back and then hitting opponents with the counter-punch! If we nick the second game 1-nil in the second leg, then everything will be square at 1-all. A penalty shootout then follows. Does it really matter how we do it? 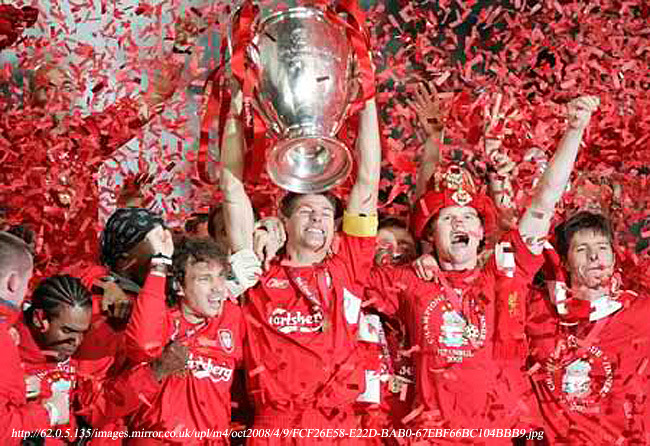 Look at Liverpool FC’s 2005 triumph in the Champions League over AC Milan. Does anyone care that it took a penalty shootout? We are the Philippines! We will be forgiven for playing whichever way we choose because nobody expects us to win! I wonder if Simon McMenemy was trying to find out if we could move up a level by playing a prettier type of football. 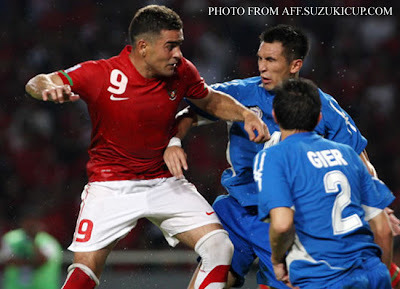 I agree with him that – in time – we will have to abandon the defensive style that brought us success in Hanoi. Having said that, now is not the time. Let us win this first; and then we can start thinking of the artistic side of things. Never mind that Indonesia has the lead. There was this one season – I do not recall exactly which – when it led Malaysia at home but eventually succumbed to the pressure in the away tie and gave away success to its opponent in Kuala Lumpur. 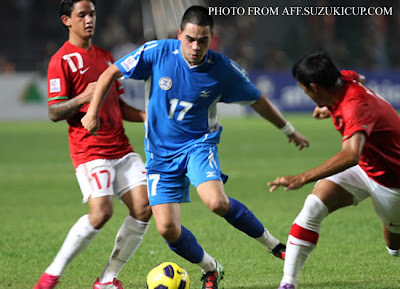 The Indonesians have never won the Suzuki Cup – and this must be weighing heavily in their players’ minds. Of course, history weighs on our players’ minds, too! Historically, we have not won anything! We are just happy to be in the semi-finals! On the other hand, what have we got to lose? The pressure is ALL on Indonesia! Let us remind them on Sunday that it is! We are by no means finished! We must all bear in mind that an Azkal survives by fighting despite having no home, no owners and no pedigree. This is not the time for heads to drop! There is a tie to win on Sunday! Chin up Azkals! Time to silence the Senayan! On a jollier note, does anyone know if Cesc Fabregas or Fernando Torres has a Filipino father or mother?